Water is the source of life and community in any ecosystem. Even in the wilderness, plant and animal life tend to congregate and flourish around sources of water. 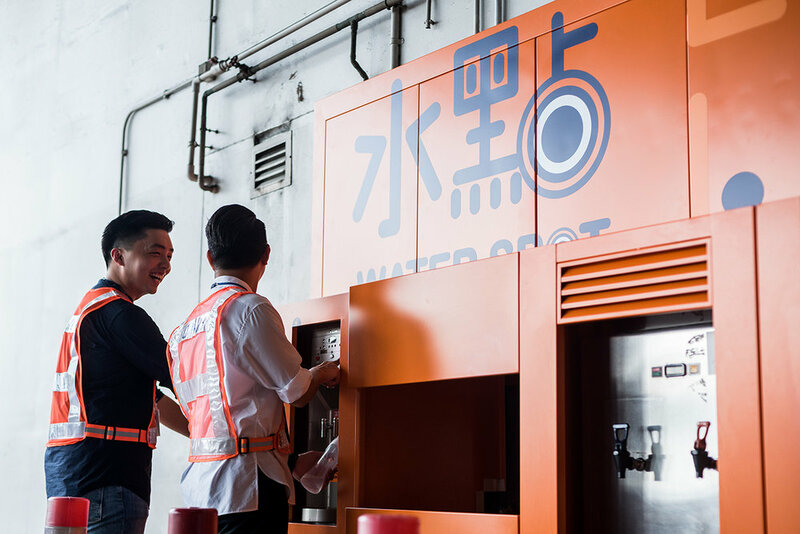 Water dispenser areas are typically overlooked and underutilised as they not visually obvious, especially in a sprawling, largely industrial place like the Hong Kong Air Cargo Terminals. One Bite worked with this client on an exciting project as part of their "Green Terminal" campaign to transform its 70+ water dispenser areas through art and imagination. 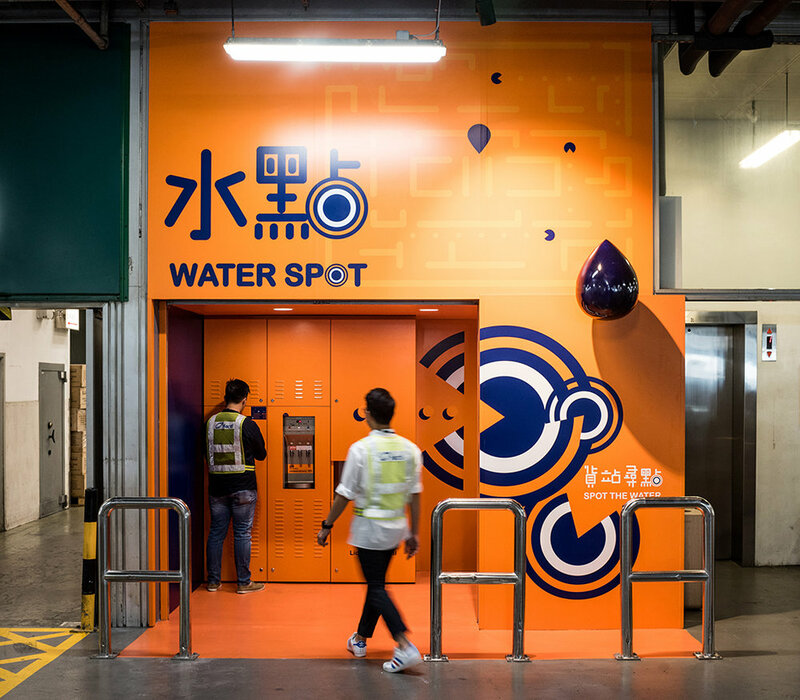 Starting off with 5 water spots, One Bite’s concept of "Spot the Water" was inspired to help employees and visitors easily locate and identify water spots even from a far distance. 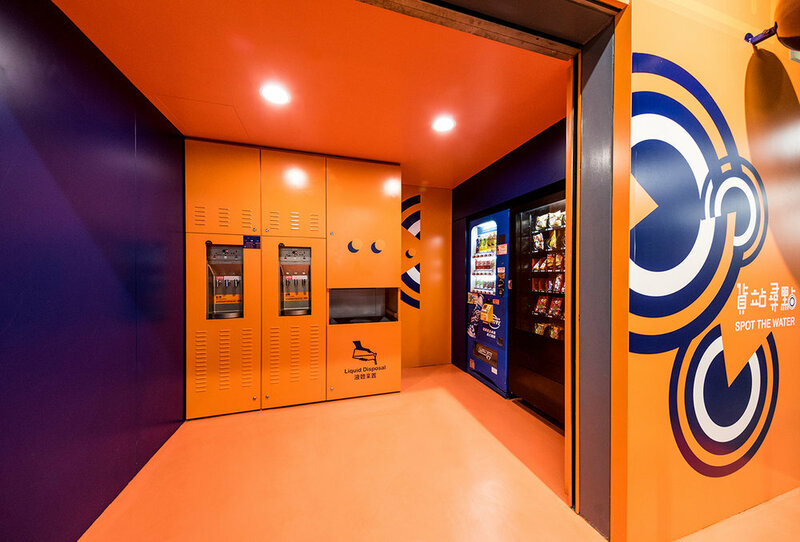 The vibrant colours of orange and navy blue colour against the existing grey background brightens up the wall while enhancing visual attractiveness and directional accessibility. The further use of a pac-man motif injects elements of fun and relaxation into the experience and encourages the community to choose refilling their water bottles instead of purchasing bottled water.